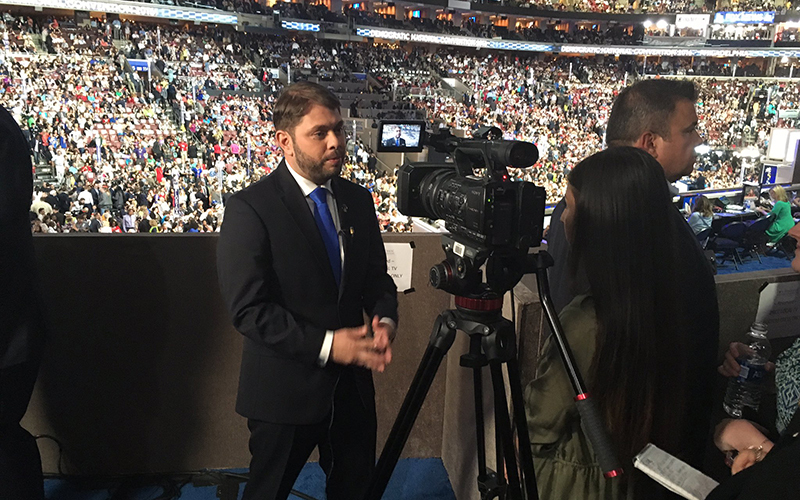 PHILADELPHIA – For a sense of how effective Rep. Ruben Gallego was in his speech to the Democratic National Convention, look no further than Arizona delegate Michael Gordy. Gordy, a staunch supporter of Vermont Sen. Bernie Sanders, said Gallego’s speech opened his eyes to reasons to get behind Democratic nominee Hillary Clinton now that Sanders is out of the race. “Everyone who was on that stage last night told us things we were not totally aware of,” Gordy said. Gallego was one of two Arizonans who addressed the convention Wednesday night, along with former Rep. Gabby Giffords. But it’s not just his speech that’s been garnering attention for Gallego, who got high marks from convention-goers for his leadership of the state’s delegation. Former Rep. Ron Barber, a member of Arizona’s Democratic delegation, also sung Gallego’s praises, saying he expects to see Gallego’s role grow in the future. “I think that leadership in the House … is seeing he is able to do a lot and they’re giving him increasing visibility and responsibilities because he’s such a good advocate for the issues that are important to all of us,” Barber said. 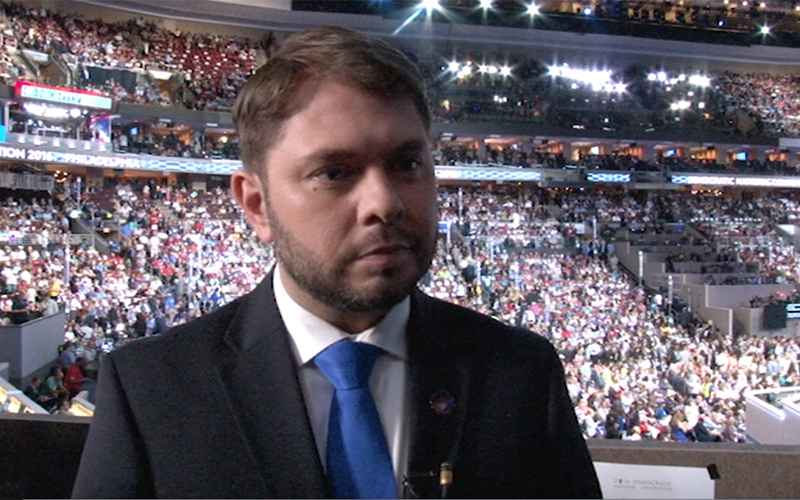 Gallego said that while he was honored and excited to be speaking in the 7:15 p.m. slot on the second-to-last night of the convention, he understood the importance of his role as a speaker. While Gallego, a Marine veteran who served in Iraq, dedicated most of his speech to veterans’ issues, he finished up with a strong endorsement of Clinton. He said that as president, she would respect troops and make “thoughtful decisions” about sending the military into combat. But Gallego dedicated much of his speech to slamming Trump for his campaign comments about Latinos, Muslims and veterans – saying he is likely to create more war and more veterans if elected. “As a Marine, as an Arizonan, as an American: I’m offended,” Gallego said, where he highlighted veterans’ issues in his speech Wednesday. At the same time, Gallego criticized Arizona Republicans – including McCain – for not repudiating Trump, who was named the party’s presidential nominee last week. McCain’s office did not respond to a request for comment Thursday. But McSally’s office said in a statement that the first-term congresswoman has not endorsed Trump and has no plans to, noting that she has criticized his statements on veterans, women and Latinos, among others. Many Arizona delegates said they were impressed with Gallego’s speech – as well as those by Giffords and President Barack Obama, the keynote speaker Wednesday. Gordy said that he thinks Gallego and his wife, Kate, a Phoenix City Council member, are both Arizona politicians to keep an eye on in the next few years.